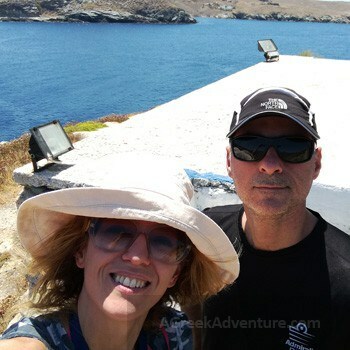 AGreekAdventure travel blog is an adventure, outdoor, extreme sports & cultural travel type of blog site, with a specific focus and a growing loyal readership. We are also members of Mediavine Publisher Network & Condé Nast Traveler; where only bloggers over a specific number of monthly readers are allowed to participate. If you browse our website you will notice a variety of sponsors and organizations that work with us. 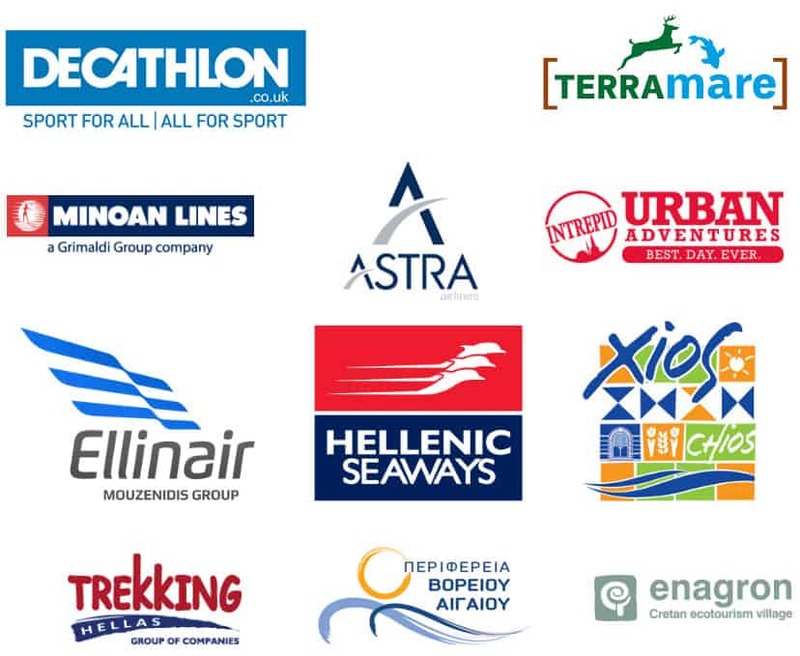 Minoan Lines, Hellenic Seaways, North Aegean Chios Prefecture, Trekking Hellas, Urban Adventures, a really big variety of hotels, resorts and guesthouses, outdoor gear companies & outdoor activities providers. Hint: You may don’t know that but AGreekAdventure team is behind a good number of outdoor gear reviews that really produce revenue to outdoor gear eshops. Ask us! Your product/service is evaluated by AGreekAdventure and a meaningful review is prepared, on your own tone of voice. That content will be shared on Twitter, Facebook, Flipboard and Pinterest and pushed through all engage Content Networks we participate into. Such a post will be featured and remain in our home page for as one of the 10 top posts. This includes video, image and interactive banners that are by no means intrusive. AGreekAdventure suggests using Native ads as they are not blocked by Ad Blockers. You realized the need for experienced travel bloggers to let the word out regarding your destination, event, product or service? We are open to media trips along with product reviews related to travel. We will distribute your content to all of our Social Media channels and usually more than once, given that your content permits such. AGreekAdventure is capable of designing, building & tracking a campaign for any interesting party. Such a campaign can include actions through social media, a range of blog posts, targeted social media events (i.e. Twitter chats), along –of course- with content creation. All campaigns and/any kind of sponsored travel content will include a disclosure statement. To invite AGreekAdventure and discuss rates per case please use the contact form. We charge depending on the amount of work that is needed, after helping with you data on what can be achieved. In case there is such we will notify you prior any publication so to be able to address and discuss the situation accordingly. We want you to provide a documented response on any possible issues that arise. Being a Brand Ambassador carries a long-term partnership with AGreekAdventure, in order to utilize and build mutual benefit for all engaged parties. Each case is different and actions are tailored on the needs of each brand. Use our contact form now to discuss all above opportunities. 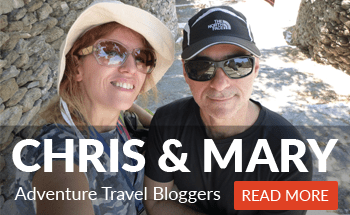 Why to work with travel bloggers? Travel bloggers create value through their content that is searchable and available through different channels on the web, plus their own travel blog. There is a huge difference from travel journalists. Travelers are increasingly turning to travel blogs for authentic and insider experiences plus genuine photography that has not been “ordered” or stylized for advertising purposes only. Travel blogs are the “ask your friend” case. People have an idea for a location and then they start searching for blog posts/content for that place. Would you trust someone who knows, has visited and wrote about a destination? That is the case with travel bloggers. However not all travel bloggers provide the same quality. As in all professions, there is an analogy of 1 good to 1000 amateur ones when it comes to travel blogging. To find which makes a difference, metrics play a great deal. Especially, in niche target groups like activities are. Chris and Mary do their homework when they are invited on a trip all over the world. They research on keywords, efficiency, difficulty and best ways to push the content they will create. They collaborate with the inviting parties for that and really measure and track everything. It is good to be fast and efficient; it is best to know what to do with what you make. With huge on-going experience in SEO and Content Marketing (more than 12 years), focus remains on creating content that aligns with online queries from the target groups you are interested in. Couldn’t walk properly for some time, as wanted to have first person experience on what it means to jump from heights. Couldn’t twist torso following extreme yoga try outs. Wanted to explore sea kayaking through a mild storm to know what was best. Ate snails to see how they taste! There is love for first person experience wherever opportunity is provided. Praise arises on shots and how they help people feel a destination. There is love for photography and this is shown through our work. Many times we are asked to sell photos to other mediums. Their audience creates a steady stream of traffic to our blog. Their email is full with questions on where to go best, what do in “that” destination, even if hiking paths in place X are open. Having established a kind of authority for the things we right, they help all to find their way. They reject more than 95% of sponsored posts when there is no real value for their audience in them. Being selective, they become useful. This is something that builds trust and value. Being able to plan and cooperate with inviting parties and organizations, they know when they can deliver results and how to measure success. They participate in wide content distribution networks, and get the best from every social media channel. All their content is written as SEO friendly. This means results and efficiency. Email Address: [email protected] or click for the contact form to discuss all above opportunities.